(38 cm), xv, 55 (1) pp. 67 collotype plates. 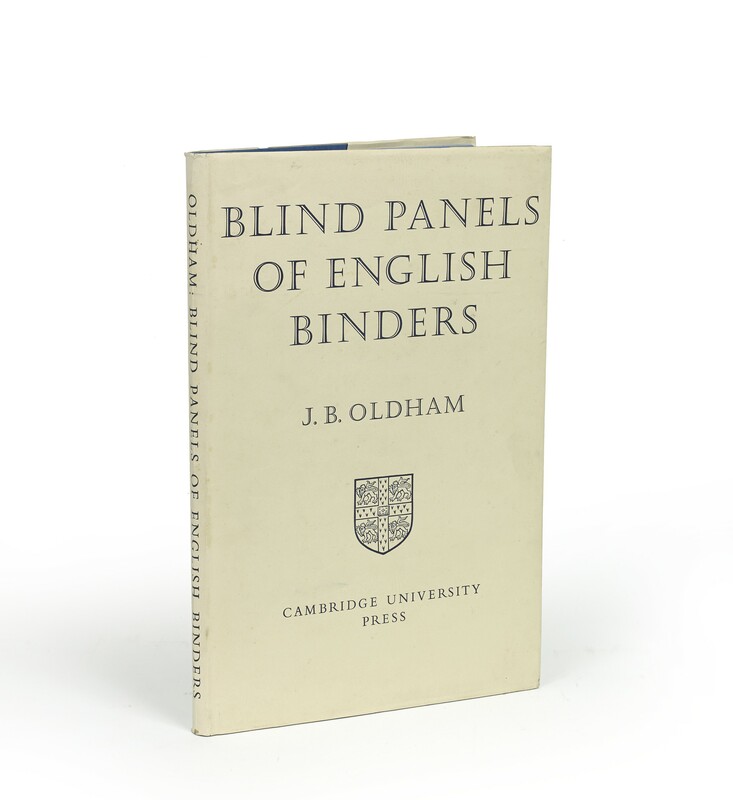 Publisher’s blue cloth, printed dust jacket. 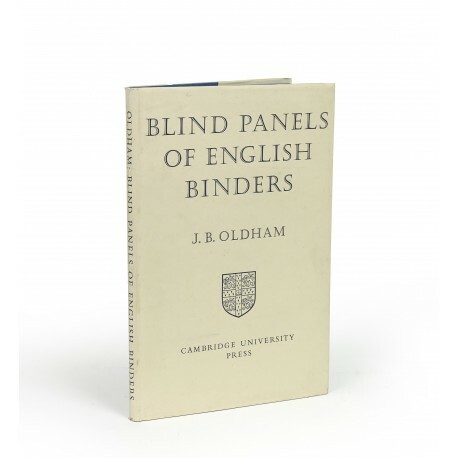 - The definitive work on those English bindings (mostly of the sixteenth century) on which the decoration was applied by an engraved panel in some sort of press. Reproductions are provided of Oldham’s rubbings of all the known panels used in England (a total of 256, an addition of about 100 to the previous estimate), classified according to subject and with notes recording all available information about their ownership and period of use. 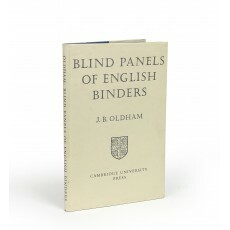 ¶ Superior copy of the first edition.